The three-row Kia Sorento is more than your typical crossover SUV. A spacious cabin and maneuverable driveability make the 2017 Sorento an exceptional vehicle for individuals and families alike. 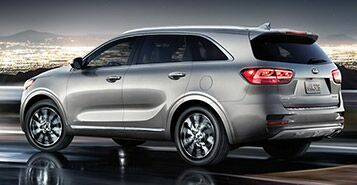 Right off the bat, the Sorento’s exterior design emits a sleek yet rugged style. Its aerodynamic shaping alludes to its impressive performance capabilities, while elements like an eye-catching front grille and rear spoiler are sure to turn heads on the road. 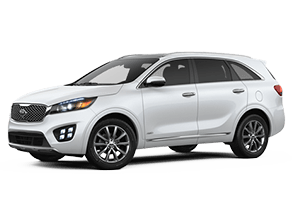 Once you step inside the 2017 Kia Sorento, you will never want to leave. 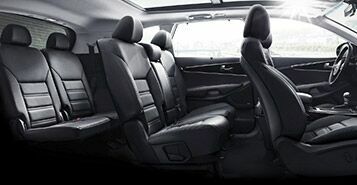 The Sorento cabin features comfortable seating space for seven riders as well as plenty of cargo room for gear and equipment. The 2017 Kia Sorento also comes equipped with a wide array of standard and available high-tech features aimed at improving convenience, safety, comfort, and entertainment for all riders. 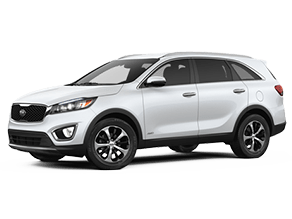 In terms of performance, drivers can choose among three different engine options for the Kia Sorento. The 2.4-liter 4-cylinder engine is especially fuel efficient, while the 3.3-liter V6 engine capitalizes on power with a 5,000-pound towing capacity. The 2.0-liter turbo engine provides an ideal combination of efficiency and power. Drivers can also opt for the available Dynamax all-wheel drive system for smooth, confident driving in a variety of road conditions. On top of basic safety elements, such as an advanced airbag system, electronic stability control, traction control system, and brake assist system, the 2017 Sorento offers a number of high-tech protective features. 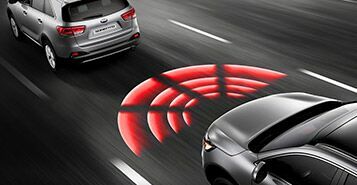 Available safety technologies include a rear-camera display, rear parking assist system, surround view monitor, blind-spot detection system, rear cross traffic alert, advanced smart cruise control, and forward collision warning system, among others. 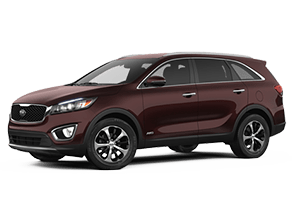 Since the Kia Sorento is known for being an exceptional family SUV, it makes sense that it offers a wide array of elements aimed at improving rider comfort. Available comfort features include a heated steering wheel, 14-way power-adjustable driver’s seat, heated and ventilated front seats, dual-zone automatic climate control, premium Nappa leather seat trim, and a plethora of passenger space throughout the entire cabin.